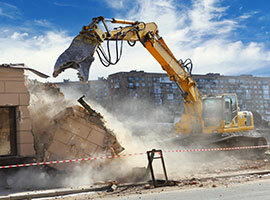 West Vancouver asbestos removal continues to be led by the great people at Urban Environmental, so when you need to safely remove asbestos in West Vancouver give us a call. Asbestos continues to be a problem material here on the west coast, and with more and more renovations happening in the area, asbestos has become a key issue. Luckily for you the team at Urban Environmental has quickly become the premier company in West Vancouver asbestos abatement. Our team is able to quickly and efficiently find and remove all remnants of this dangerous chemical without endangering you or your family. Asbestos is known to cause a number of different cancers, and is now banned in use here in Canada. If you are dealing with asbestos problems, call the experts at Urban Environmental and take a step for a healthier tomorrow today. West Vancouver mold removal should only be handled by experts, and here at Urban Environmental we continue to be the number one name in safe removal of mold in West Vancouver. Mold is a constant issue here in West Vancouver, we have rainy winters, and humid summers. 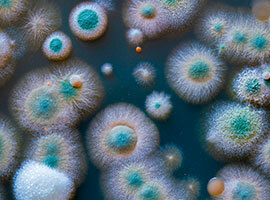 Here at Urban Environmental we can see the very dangerous side effects of mold, on families and their pets. Black mold, especially here on the west coast, is some of the most toxic mold in North America. If you are having issues with black mold, or just can’t get a handle on your current mold issues, call us at Urban Environmental. We have been tackling mold issues for years, and cannot wait to help you and your family. Call us today, and start living in a clean home tomorrow. Here in West Vancouver, we are proud to be the all-around chemical and bio-hazard cleanup services for the city. Our team of highly skilled, and professional people will be able to isolate, clean up and of course disinfect any type of bio hazard that you may have spilled. This includes our crime scene cleanup services that allow us to fully restore a destroyed room, back to its original condition. There is no job too big for us to handle, and with experience in bodily fluids, bullets and an assortment of other issues, we are the team for the job. Call today and experience the best in West Vancouver in dealing with those situations in which you try to avoid, we are here for you and will get life back to normal as soon as possible.